Snow reports from the overnight snow have been slow to come in today. 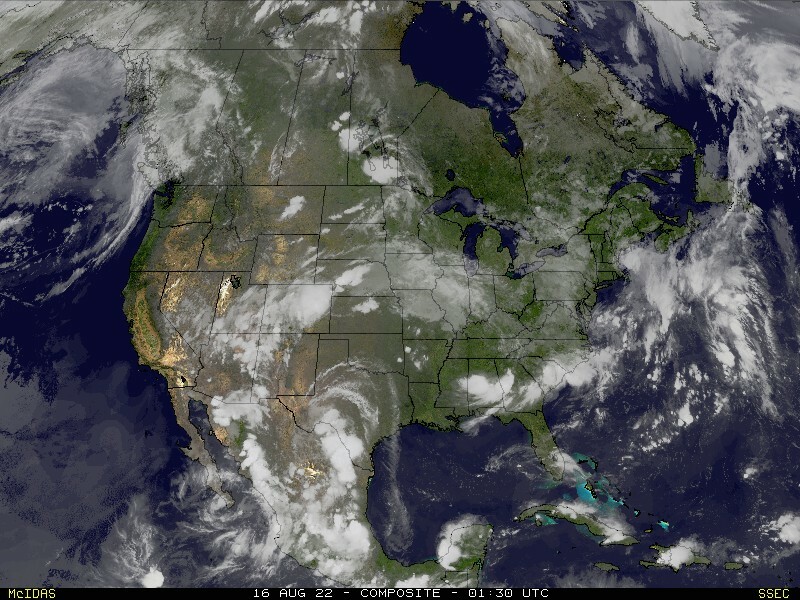 The map above was created using amounts submitted to the Heartland StormTeam via Twitter and Facebook and also from the National Weather Service. Thank you to everyone on Twitter and Facebook that have sent in your snow amounts to the Heartland StormTeam and the National Weather Service. 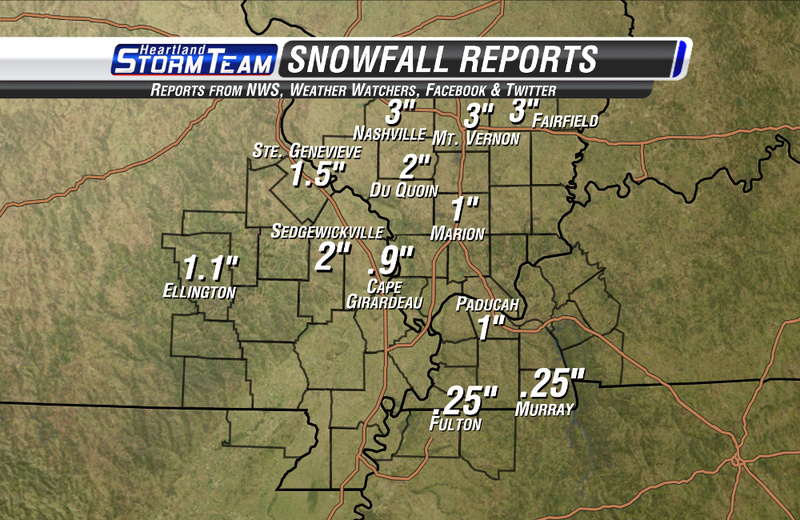 The storm behaved pretty much as expected with amounts generally 1" to 3" from Cape Girardeau and north. I measured 0.9" at my place in Cape Girardeau. 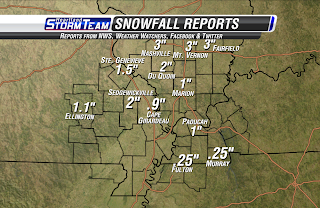 Areas with no reports, mainly over southeast Missouri, had anywhere from nothing to a dusting to "not enough to measure". How much snow did you get? Leave how much, where and whether it the amount was measured or estimated in the comments section.